This slot will take you to the 1920s, where you can have a lot of fun. You have to plunge into that era and try to win a big prize. At Booming Games it was once again possible to create an exciting game with an interesting story. The main theme of the Chicago Night – parties. The game takes place in a windy city, in the midst of which are the drums. 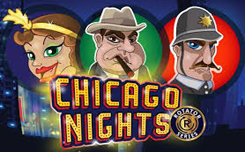 Chicago Nights is a slot with 4 reels and 12 fixed winning lines, as well as exciting bonus features. On the drums of Chicago Nights you are waiting for a car, Thompson’s machine gun, tickets for the show, champagne, a man with a cigar, a girl, a policeman and a trumpeter. There are no traditional “card” symbols in the game. Wild – this is the highest paid symbol in the game, replacing all other symbols in the game except for bonus ones. 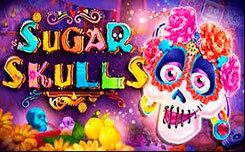 3 or more scatter, you activate free spins. As a reward you will get 10 rotations, before launching which if you want you can play the game at risk.